Dr. Rima Mohammad and other clinicians with the University of Michigan have established a new clinic to help ICU patients get timely and thorough follow-up care. Recovery does not end when a patient is discharged from the intensive care unit (ICU). Rima Mohammad, PharmD, clinical associate professor of pharmacy and clinical pharmacist, Michigan Medicine, explains that many ICU patients experience cognitive, physical, and emotional symptoms after they come home from the hospital, and may lack adequate follow-up care putting them at risk for hospital re-admission. To address this gap in care, Dr. Mohammad and other clinicians with the University of Michigan have established a new clinic to help these patients get timely and thorough follow-up care. 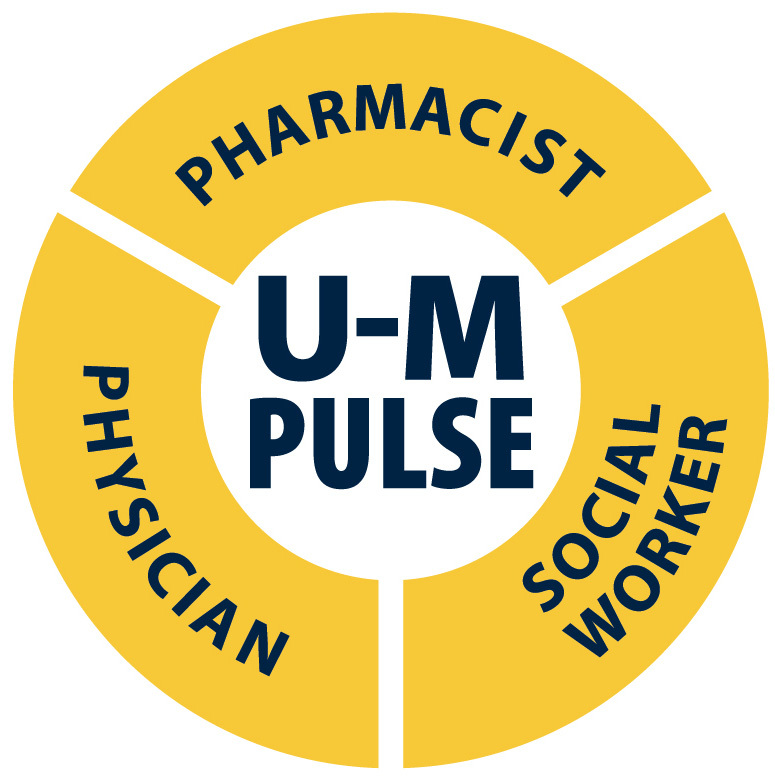 The University of Michigan Post ICU Longitudinal Survivor Experience Clinic (U-M PULSE) takes a holistic, multidisciplinary approach – a social worker, physician, and clinical pharmacist work collaboratively to address a range of patient needs. “Each specialist in the clinic knows how to handle the particular needs of patients recently released from the ICU,” says Dr. Mohammad. “Improving patient care is our main goal. However, caregivers also need support after a critically ill family member or friend is released from the hospital; we try to address their needs and concerns in addition to patients’.” Pharmacist contribute expertise in the areas of medication management and reconciliation, disease management, patient counseling, and collaborate with social workers on drug costs. During their initial visit to the clinic, patients work with a pharmacist, social worker, and physician to address their medical, mental and physical health needs. Patients and caregivers fill out a survey intended to evaluate the impact of their illness on their caregivers and their own quality of life. Patients meet with a pharmacist for a comprehensive medication review; Dr. Mohammad pays particular attention to medication changes made during the hospitalization and medications that may no longer be needed or inappropriate. Patients also see a social worker to review the surveys and receive cognitive testing. Mari Pitcher, licensed clinical social worker and adjunct lecturer at the University of Michigan School of Social Work, specializes in post-traumatic stress, anxiety, and major life changes. Ms. Pitcher performs a comprehensive assessment of each patient, including evaluation of cognitive function, support systems, mental health, and employment/financial status. Caregivers are welcome to participate in the social work consultation. The visit concludes with a physical clinical evaluation and medical review. All clinicians meet to discuss their respective exams and recommended follow-up care. Additional providers, including a dietitian and spiritual care specialist are available for consultation in the clinic. The team then sees the patient to outline the care plan and help facilitate any referrals. The U-M PULSE team’s care does not end after the initial patient visit: a six-month follow-up visit is scheduled, or virtual check-ins can take place sooner if necessary. U-M PULSE, which opened in March 2018 in the Michigan Medicine Taubman Center, is one of just a few such clinics in the country. Its services are available to those who have recently stayed in a Michigan Medicine ICU, or elsewhere. Ideally, a patient does not wait long to pursue the clinic’s services following ICU discharge. The new clinic builds upon established Michigan Medicine research, which explored proper post-discharge follow-up care guidelines for sepsis survivors. According to the Center for Disease Control and Prevention, more than 1.5 million people get sepsis each year in the United States, with 250,000 of those dying from the infection. “While we will definitely treat patients recovering from other critical illnesses, sepsis appears to be one illness we expect many of our patients to be recovering from,” says Jakob McSparron, MD, clinical director of the PULSE Clinic. For their efforts, the Sepsis Alliance has recognized the U-M Pulse Team as Sepsis Heroes. The award honors the team for their innovative efforts to improve the care of sepsis survivors. 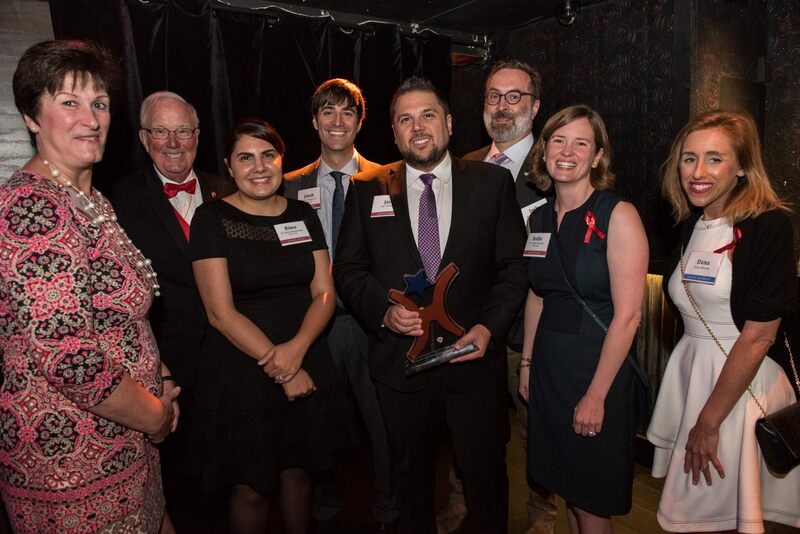 They received the award during the Sepsis Alliance’s annual fundraising gala on September 13, 2018 in New York City, which coincides with World Sepsis Day. The U-M PULSE Clinic is built upon research examining post-sepsis morbidity by Hallie Prescott, MD, assistant professor of pulmonary and critical disease, and Jack Iwashyna, MD, associate professor of pulmonary and critical disease and co-director of the National Clinician Scholars Program. The pair have each authored several studies examining sepsis, with one of Prescott’s most recent research articles demonstrating the need for proper post-discharge follow-up care for sepsis survivors in order to improve patient outcomes. Patients do not need a referral to be seen at the clinic. To schedule an appointment with U-M PULSE, call 734-647-9342 and request an appointment with Dr. McSparron. 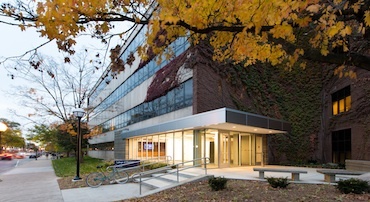 Read more about the clinic on Michigan Medicine's Health Lab blog.